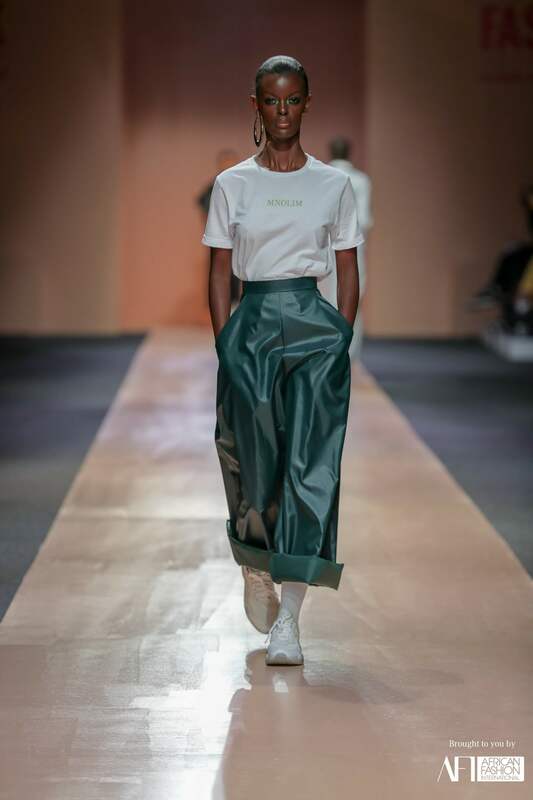 Formerly known as Mercedes-Benz Fashion Week Joburg, AFI Joburg Fashion Week took place from the 4th to 7th October in Melrose Arch and other historical sites around Johannesburg. The theme for this season was #AfroAsia in hopes of strengthening collaborations and relations between AFI and Tokyo Fashion Week which resulted in some Asian fashion brands showcasing during the fashion week like Anti Arch and 5Knot; from this relationship, a designer from Africa will be selected to showcase at Tokyo Fashion Week next year. 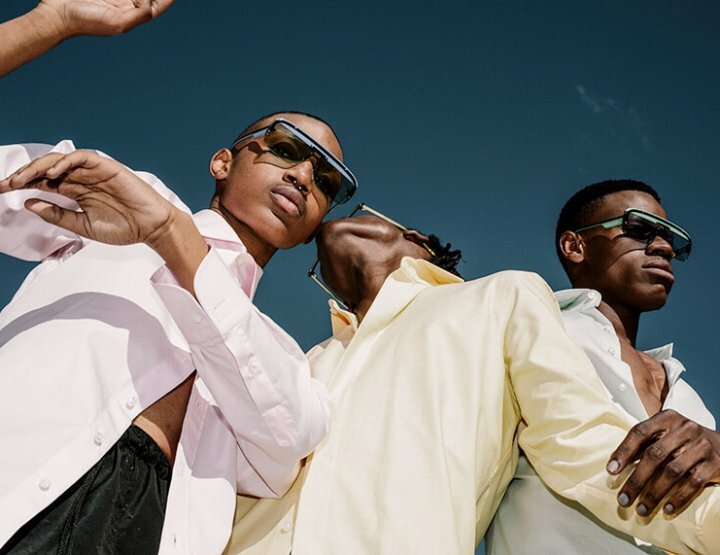 Despite a poorly executed ticketing system for the media and empty chairs during most shows, the designers put their best foot forward and presented great collections. 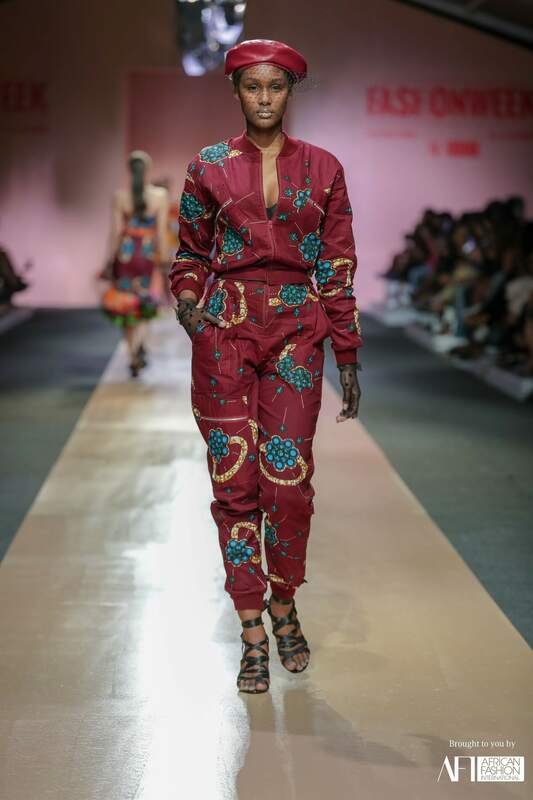 Sticking to the #AfroAsia theme, legendary fashion designer Marianne Fassler presented an amazing collection with clear Asian fashion influences mixed with the unmistakably creative and unpredictable Marianne Fassler syle. 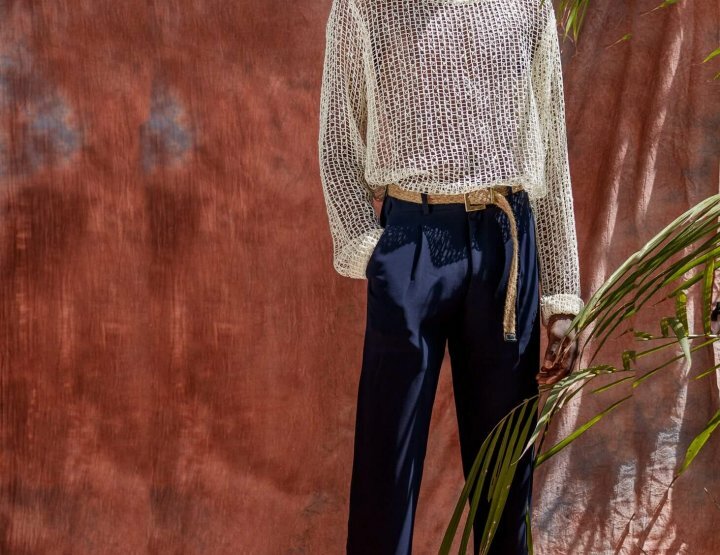 What stood out for me from Marianne’s collection are the long belts that double as fancy fanny packs with sleek zips and command attention. The kimonos in different materials with dresses and pants with typical Asian symbols like the Chinese dolls as well as others were present in the remarkable collection. 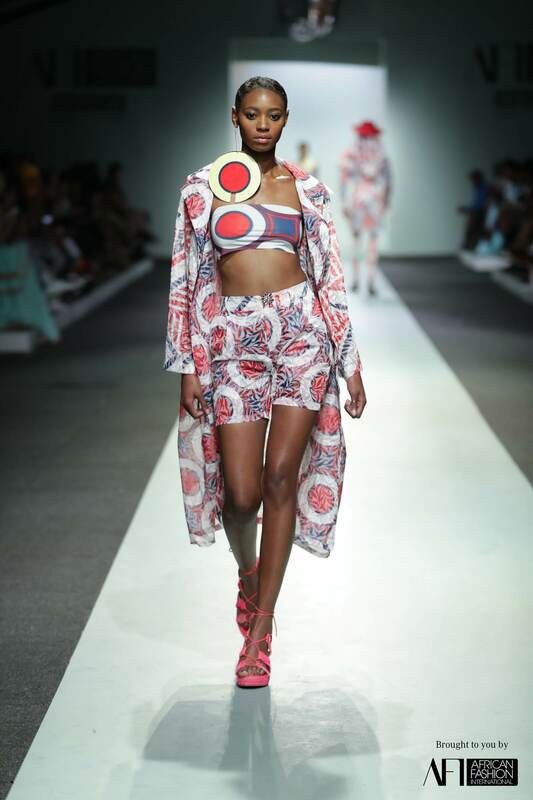 South African designers like Tsotetsi KL and David Tlale’s collections were in honour of our struggle heroes. 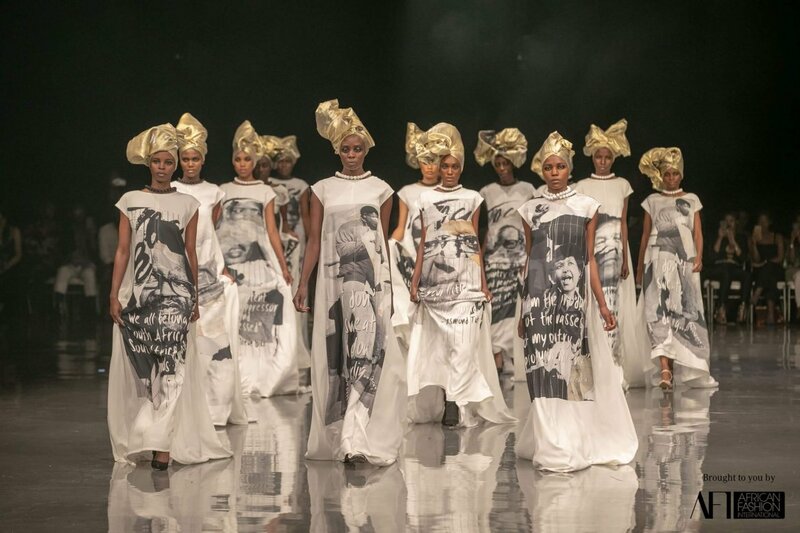 David Tlale’s collection included dresses with faces of fallen struggle heroes like Winnie Madikizela-Mandela, Nelson Mandela and Oliver Tambo among others. 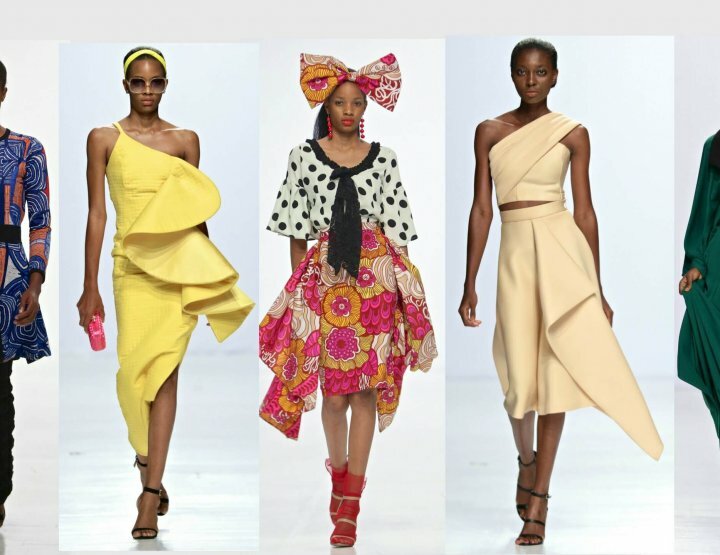 The dresses were paired with West-African inspired gold ‘gele’. 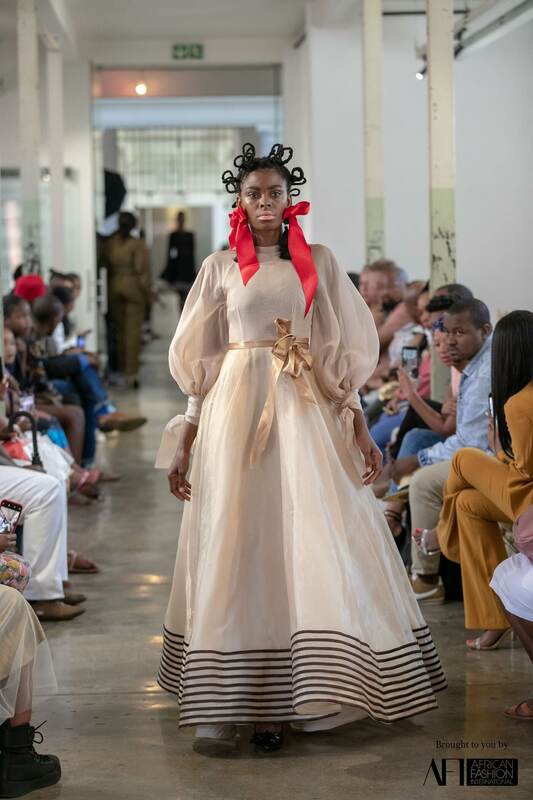 Tsotetsi KL’s collection of colourful dresses paired with big accessories and ethnic ‘bantu knot’ hairstyles and bright lipstick. 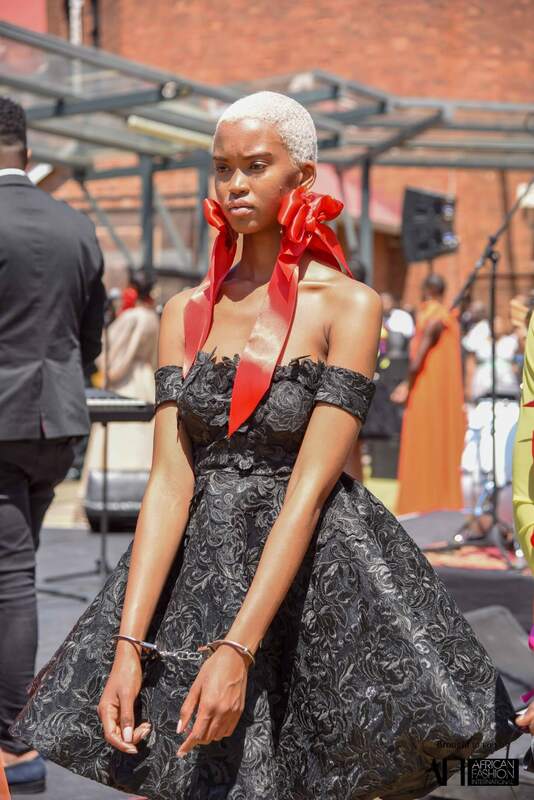 The models were in handcuffs remembering the women who were jailed at the Women’s jail in Constitutional Hill where the fashion show was held. 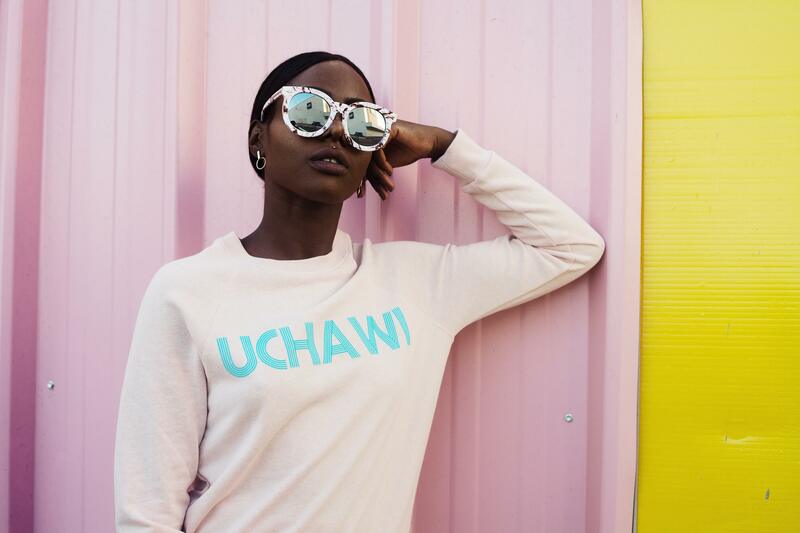 African Fashion International always includes designers from the rest of Africa and this season was no different with designers from Botswana, Cameroon, Tanzania and Rwanda. 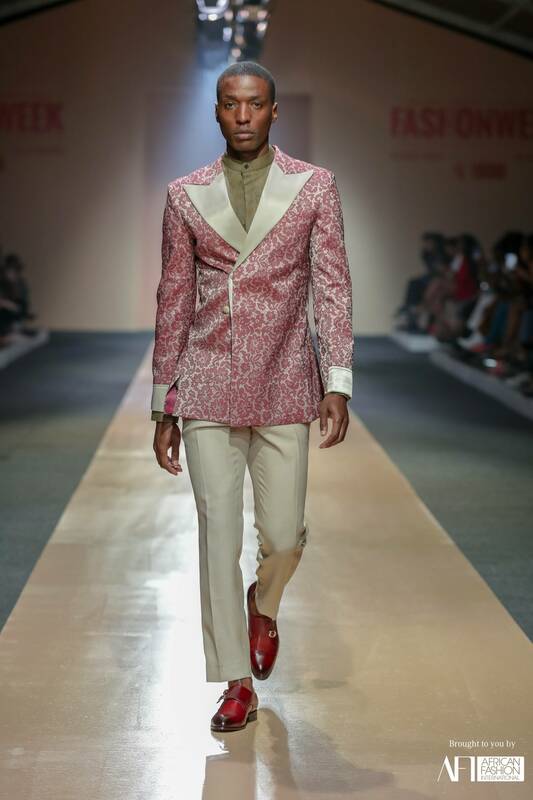 Sheria Ngowi from Tanzania never disappoints with his tailored menswear collection; this season he included lace in his suits and I absolutely loved it. The collection might have been for men but I know that women like me would definitely rock those suits and look good in them. 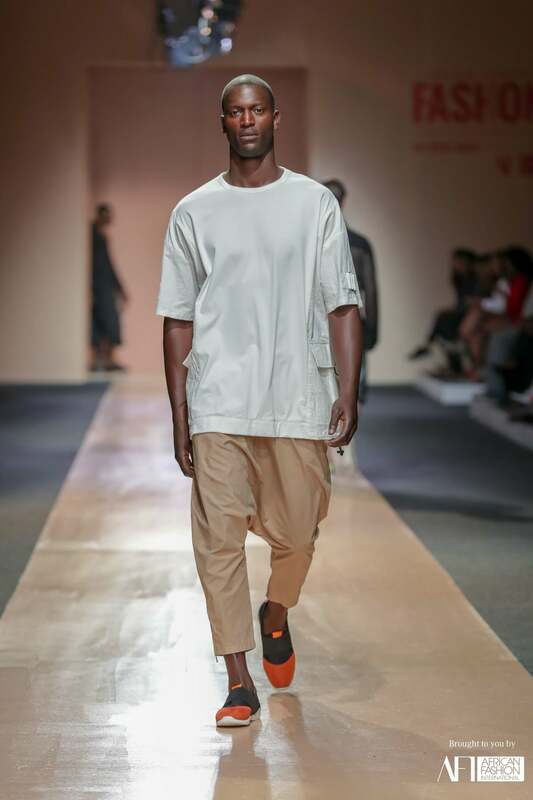 The Street wear collections from designers like D.O.P.E, Matte Nolim, 5Knot really presented great collections for people who are not scared to try different combinations of their outfits and wear outfits that grab attention because they are bright and colourful; unique and need a strong attitude to make them work. 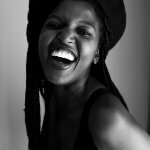 There are two young designers in South Africa who have a way with print fabric and from it produce the best print work there is and they are Mzukisi Mbane from Imprint ZA and Rina Chunga-Kutama from Rich Factory. 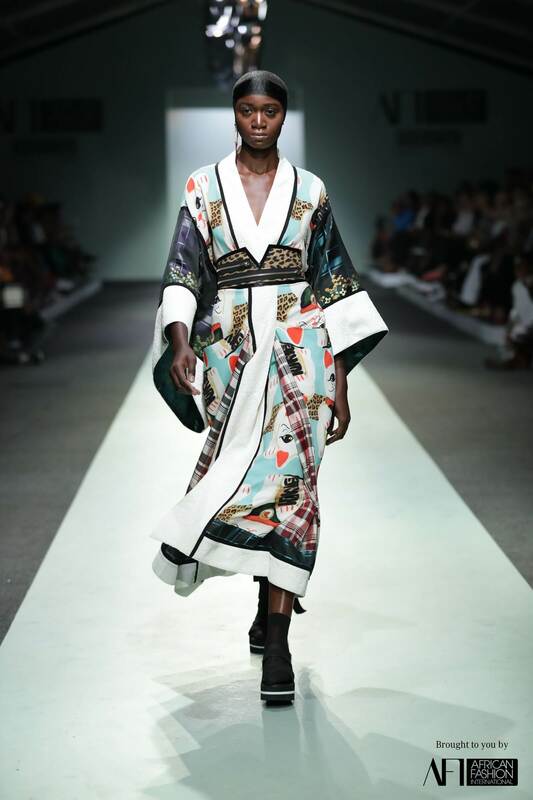 Their work is always unique and their choice of fabric is always unusual but absolutely beautiful and always the talk of the town after their fashion shows and it was no different at Joburg Fashion Week because they blew us away with their collections. 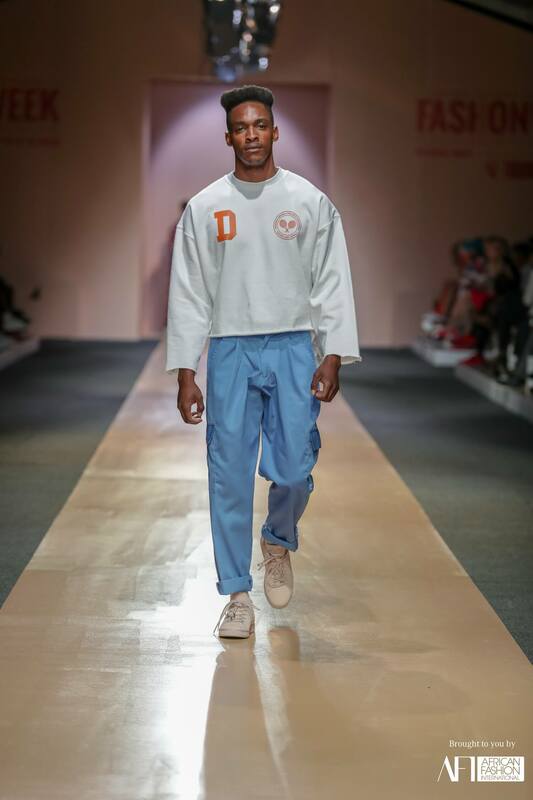 Imprint ZA showed a red and white unisex collection paired with cool hats, over-sized single earrings and over-sized bags used as belts. 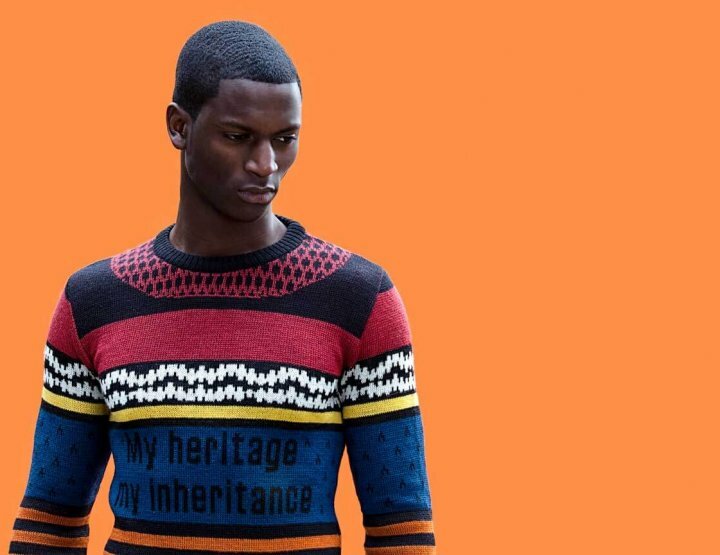 My biggest observation from this fashion week is that young designers are rising and producing the best work.